Every visitor to our hotel has loved our free-flowing hot spring. We have spacious open air baths where you can indulge in the beauty of the four seasons. Feel fully relaxed sitting on the stone located right in the middle of the bath, while taking in the resonant, calming sounds of the falling hot spring water. 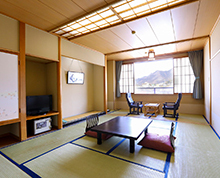 At Hotel Housei, the hot spring source is visible in the hotel lobby. The open air hot spring baths, the toast of our hotel, make you feel free and relaxed, spoiling you in luxury. 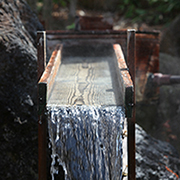 It has been said that our natural free-flowing hot spring is effective for women’s health issues, skin diseases, rheumatism, and neuralgic pains. 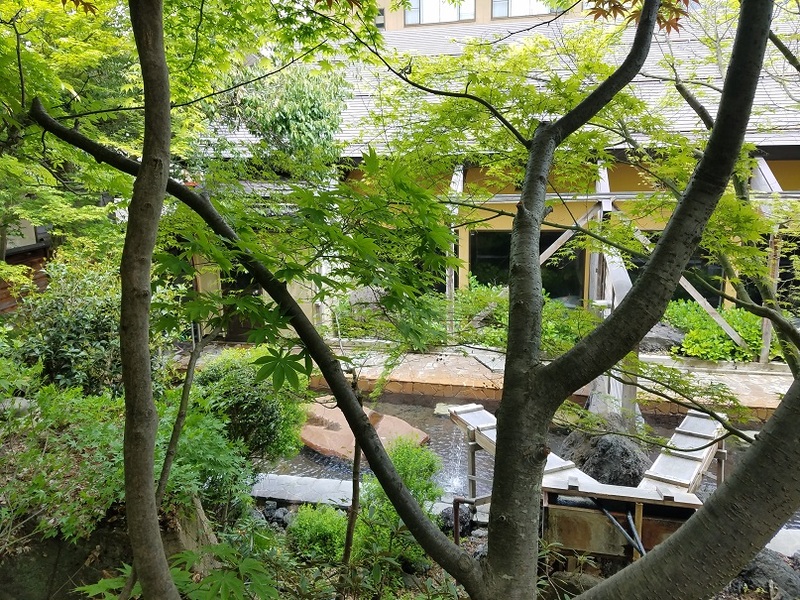 Along with the unique feeling its open-air atmosphere gives, we are proud that there is no place better than our hot spring baths to relieve your tired body and mind. 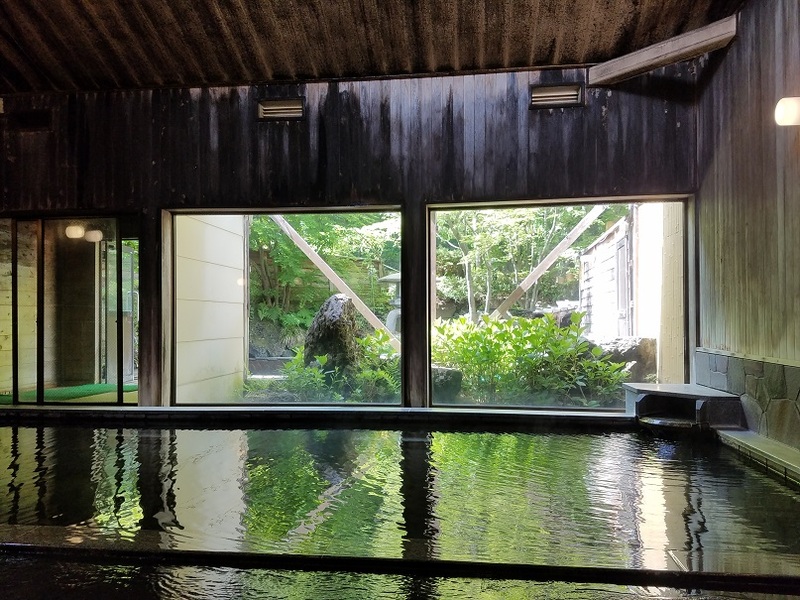 The large indoor bath provides you with a calm and relaxing atmosphere, allowing you to truly enjoy the scents of the wood and hot spring water. Even in the midst of a freezing winter, you will be fascinated by the comfort and warmth of our large indoor bath. We are sure that you will have a wonderful experience soaking in our large bath; forgetting all about your busy life and fully embracing your time away. 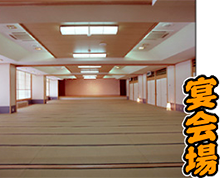 We have a spacious tatami function room available for large groups. 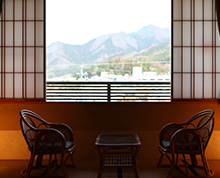 With our specially-prepared guest rooms, you are guaranteed a comfortable and relaxing stay. Our dishes may vary according to season. Please contact us by phone, fax, or email for inquiries regarding dinner prices. Copyright (c) housei . All Rights Reserved.